Q. I have read repeated sohbets of your Shaykh, Mawlana Shaykh Nazim al-Qubrusi in favor of the Saltanat. Can you please define the meaning of the Sultanate as per your understanding. A. “Saltanat” is not the same as “Sultanate”. The Sultanate’s role is to uphold, defend and honor the Saltanat. 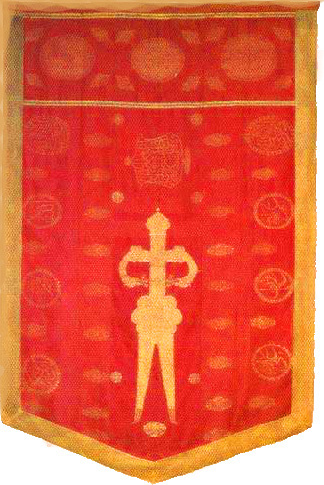 The Saltanat protects the Sultanate, and keeps Sultans in power. The ministers of the Sultanate are kings, and the Ministers of the Saltanat are the Awliya, Aqtaab, Abdaal, Akhyaar, Awtaad, etc.,. This is the correct definition of the Saltanat, or heavenly order of the Kingdom of Heaven. There are many Sultans who did not keep up the Saltanat, and became tyrants, but in general, Sultans are trained and conditioned to rule according to the Saltanat. These Sultans would submit their affairs in secret to the Ministers of the Saltanat, meaning Awliyas, who in turn would convey guidance to them from the Saltanat. This is why throughout Muslim populated lands, wherever there were Sultans, there were Awliya’s from various salasil supporting them and advising them as rehbers of the nation. In his Maktubaat, Imam Rabbani Mujadid Alf Thani Ahmad Sirhindi wrote, “A rehber is necessary on the way of tasawwuf. The Twelve Imams and ‘Abd al-Qadir al-Geilani and those who were like them (rahimahum-Allahu ta’ala) were rehbers.” This two government system was implemented throughout the Muslim lands throughout history, since the Awliya and their supernatural abilities have been highlighted in the ahadth, as narrated in many books including Imam Asfahani’s Hilyatul Awliya regarding al-Abdaal. All Sultans who do not reflect the mission of upkeeping the Saltanat through their rule are the agents of the Shaytan, or the Anti-Christ himself. These Sultans actually are mandated by ad-Dajjal to destroy the Saltanat and its branches, which included Sufism at one given point in history. But these vile Sultans were successful in even destroying this now, this is why Mawlana is repeatedly cancelling out the word Sufi, Qadri, Naqshbandi from our dictionary, because these Sultans have managed to break the link between the Ministers of the Saltanat to the Saltanat itself through tyranny, and corruption. As such, in this time, the time of Hadrat Mahdi, the people will be connected directly to the Saltanat, without the mediumship of the Ministers and their Orders. The “Saltanat”, not Sultanate, is correctly defined as the doctrine of the Imamate as transmitted from the era of Rasulullah (sallallahu alai wa sallam) through his sons the Twelve Imams (peace be upon them all), who were protected from errors. The role of the Sultanate was and is to upkeep this Saltanat. When and if they abandon this duty, they will become categorized as tyrants and the “companions of the fire” as Mawlana referred to them on May 4th, 2011,and as in the past, they and their people will become cursed with poverty, weakness, humiliation and oppression. This is happening now all thorughout the Muslim populated world, and in mosques by fuqaha, whose ijazahs to issue religious rulings came from the Twelve Imams in the first place, but now they are using religion and corrupted beliefs to alienate the populations from the Imamate, or Saltanat. These Ulemas in my opinion include many of those even claiming to be Sufi, like so many Deobandis, and even those who are claiming to be both Sunni and Sufi but are denying the Saltans and the Saltanat and are supporting Taghut and the enemies of the Saltanat. These so called “clergymen” are denying the status of the Saltanat in the name of the Sunnah, they are liars, and as such 70,000 of them are being prepared to be executed by the order of Hadrat Mahdi (as) very soon inshallah. May Allah protect us. People have become enslaved to their ideas of religion, when in fact, it is religion which gives man and his soul both salvation and freedom. This entry was posted on May 29, 2011 by ASFC in Ahmed Amiruddin and tagged islam, naqshbandi, Saltanat, Sayyid Ahmed Amiruddin, shaykh nazim, Sultanate.